Lackawanna, NY - In the course of a day, over 5' of snow fell in the regions surrounding Buffalo, NY. Please remember all those who are buried in their homes, stranded, or in need of shelter as they brace for another 20-30" of snow in the near future. 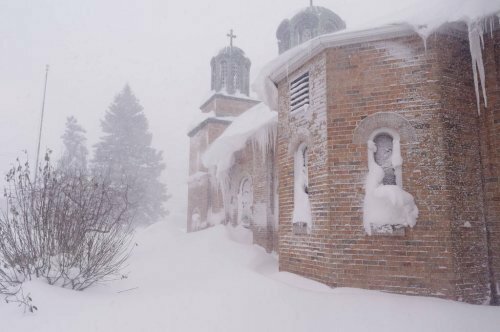 St Stephen's in Lackawanna is pictured, buried in this terrible, early, winter storm.